There are only four teams remaining in this year’s Super Eight tournament, and after Thursday afternoon that number will dwindle even further. First up, No. 8 Walpole looks to win its third straight elimination game when they take on No. 1 BC High. The two met up in the opening round of the tournament with the Eagles coming away with a 4-0 win. In the night-cap, seventh seeded Franklin faces off against No. 4 Central Catholic with a berth in the Super Eight Final on the line. The Panthers and Raiders have each scored a combined 15 runs over their first two games. 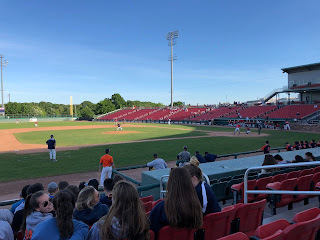 While the winner will advance to the tournament's championship game, the loser will fall into the one-loss bracket and face the Walpole vs. BC High winner. Here are our preview and predictions for today’s two Super Eight games down in Brockton. Preview: Walpole became the first eight seed to reach the Super Eight final four on Tuesday with a 6-4, upset win over St. John’s Prep. The Rebels will look to keep their season alive for another day when they take on No. 1 BC High on Wednesday afternoon with a trip to the Super Eight semifinals on the line. In recent days, Walpole has received key offensive production out of the nine spot from Matt Falvey. Falvey is 6-for-8 over the last two games with a pair of stolen bases. Matt Donato is expected to get the start for the Rebels. Donato is coming off a nine-inning performance in which he threw 134 pitches before picking up the win. Chris McLean and Jack Magane have been clutch for the Rebels offensively. Prediction: Walpole has played as if they have nothing to lose over this last week, and there is reason to expect more of the same on Wednesday afternoon. BC High, however, looks to have more pitching depth on the mound at this point in time and that should give them a significant edge as they look to move on to the semifinals for the second straight season. Preview: Coming into the tournament, not many on the outside predicted this winner’s bracket semifinal matchup but Franklin and Central Catholic both finds themselves one game away from a Super Eight final. Franklin has their ace in Jake Noviello ready and well rested. Noviello went 6.2 innings in the Panthers’ Super Eight opener versus Wachusett before coming on to record the final out and earn the save versus St. John’s Prep. When at his best, Noviello uses his four-seam fastball that ranges between 87 and 89 miles per hour to get ahead of hitters before mixing in his breaking ball and changeup to put them away. Alex Haba, Scott Elliot, and Cooper Ross have led the Panthers at the plate. Jake Macchi has been solid behind the dish. Central Catholic has scored 15 combined runs in its first two Super Eight games and is now hoping starter Nate Carpenter can pitch them to the finals. Carpenter has had a terrific season for the Raiders going 5-2 with a 2.27 ERA. Over 44 innings he has allowed just 34 hits and struck out 42. Offensively, Dominic Keegan has been as good as anyone in this tournament. Joe Sanchez, Steve Hajjar, Mike Pierro, and Noah Lucier surround Keegan in the lineup creating a formidable attack. Prediction: Noviello cruises in the early going, allowing Franklin to build a small but consistent lead. As the innings progress, Central Catholic gets to the Panthers’ ace knocking him out of the game. With a spot in the finals in the balance, Franklin does what they have all tournament long and strings together a late rally to come within one win of a championship.